This fully working Acorn Electron was recently added to our collection and it represents the first system in our collection that was manufactured for a non-US user base. 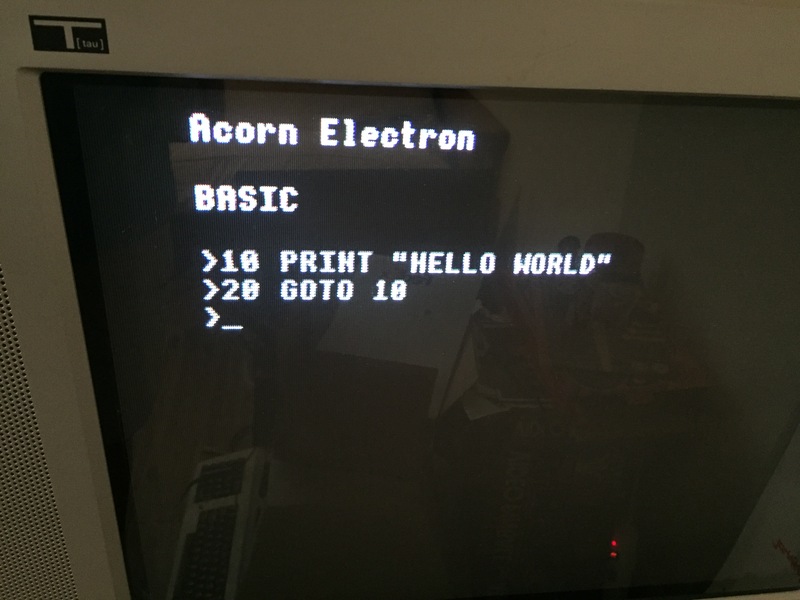 Acorn, of course, is the UK manufacturer of the legendary BBC Micro that later developed the ARM processor. 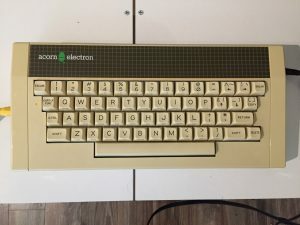 The Electron is similar to the BBC micro, just scaled down for the home market. 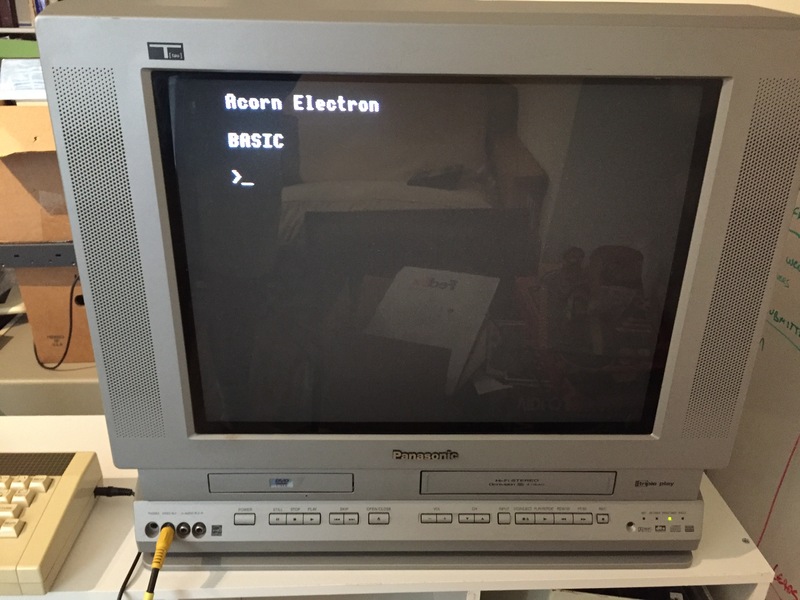 We have some manuals and one software cassette for this machine as well. 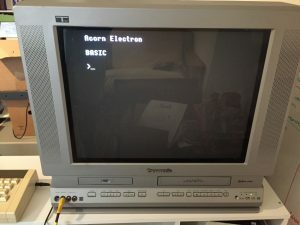 We do not have the original power adapter, and this unit has composite and RF outputs formatted in PAL which makes the display on US televisions a bit problematic. 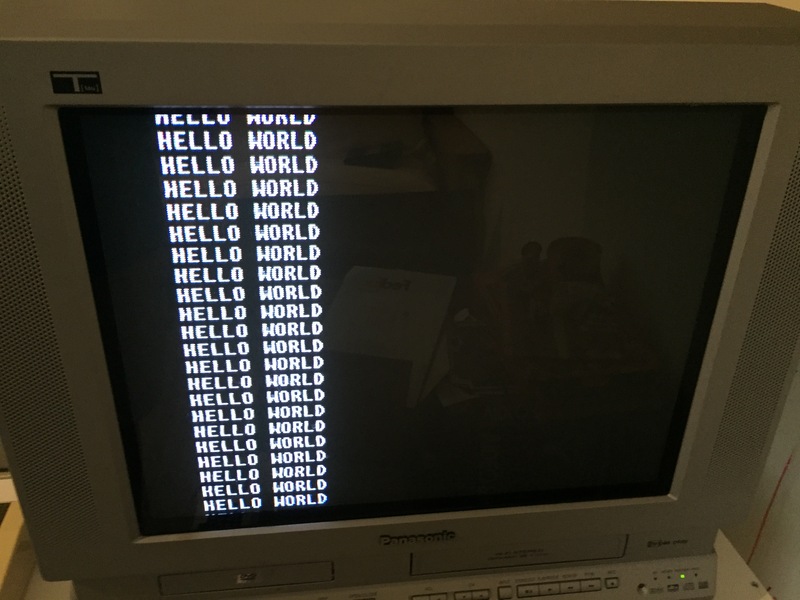 We managed to get a pretty decent black and white output on one of our CRT TV’s. 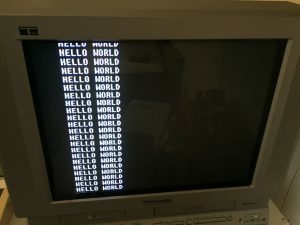 We plan to have more updates in the future as we work to understand this machine better.